Fitness fanatic or just getting started, keeping yourself motivated can sometimes feel like you’re fighting a losing battle. But it’s a well known fact that evidence of progress and setting yourself small, reachable goals are good ways to keep your motivation steady. Now more than ever, these targets and achievements are easy to set and to see, thanks to the influx of fitness gadgets out there on the market. What about the best heart rate monitors? Fitness gadgets come in all shapes and sizes; headphones, watches, straps...even fitness equipment itself has in-built tracking systems to help you monitor your progress. So really, before you go out and potentially spend several hundred pounds on a gadget you don’t necessarily get on with, or a load of gadgets that essentially do the same thing, make sure you consider your requirements and invest in the right product for you. 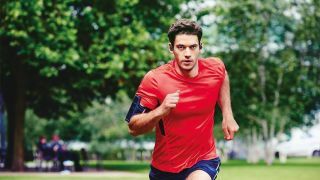 If you want a subtle gadget to wear while out and about while you’re running, take a look at some fitness headphones. Yes, you may have to accept that the sound quality isn’t going to rival that of your surround sound system, but you get in ear coaching and you don’t need to worry about getting tangled up in wires. Or how about a watch that not only plays guided workouts videos, but displays texts, measures your heart rate and stores your favourite fitness tracks too? Our list features a range of the best fitness gadgets. We’ll key you into their main features, the benefits of buying them and if you avoid should them. Then, whether you’re body blitzing to feel bikini confident or training for the next big event, you’ll be able to invest in the right piece of equipment for you. If we’re looking at this from a fitness point of view, this watch is on point. With guided workouts and fitness insights, personalised coaching and heart rate monitoring just some of its features, this is a solid product from fitness giants Fitbit. The watch can also store songs and display messages and notifications from your mobile phone screen. If you’re looking for a fitness gadget with smartwatch tendencies, go for this one. If you’re looking for a smartwatch with fitness tendencies, you’re better off with an Apple Watch. They carry an in-ear heart rate monitor, provide coaching via the app and are securely fitted thanks to the gels and wings. Importantly, according to reviewers, the sound quality in these headphones isn’t bad - so far so good. As the headphones track performance and feedback to the app, you’ll receive analysis and be able to test your progress. Fully waterproof and capable of holding 4.5 hours charge (the carry case also holds 9 hours charge), they’re sweat-proof and easily rechargeable. Sound fanatics may feel there’s a compromise on the sound, but fitness fanatics will probably love the lightness and discreteness of these headphones. Slightly more advanced than the wooden handled ropes of our childhood, this skipping rope counts the amount of jumps you do in one session and sends the information to the app, which then works out the amount of calories you burn as a result. You can select from a range of interval training sessions and you can even earn awards. And the best bit? - It lights up when you start skipping. Whether you’re looking to build your stamina or your fitness in general, this handy sized fitness gadget should be fun and challenging to use. Just make sure you know you have access to wide open space. This device is all about recognising the way you exercise and suggesting ways to improve it. Thanks to the 3 motion sensors, it can detect when you’re running, cycling, swimming, boxing, weight-training and more. As it monitors the way you move, the device sends data to the app, which then uses the information to educate, push and encourage. Dirt, sweat and wet resistant, this ultra-lightweight gadget should be much more durable than a Fitbit. However, if you’re looking to receive as much data as possible from your fitness regime, we recommend you go for more complex wrist band. Generic scales can be misleading, as they’ll sometimes say that you’re putting on weight, when you’re not. Because they’re only capable of measuring one dimension of weight, they don’t factor in the likes of muscle mass and water retention. There’s every possibility that your efforts are now resulting in you building up muscle mass, which is heavier than fat, so in actual fact you should be feeling proud of yourself, not reaching for the diet book. These clever scales measure fat, muscle, water percentage and bone mass to give you an accurate representation of your body. Use the app to measure and track the weight development of up to 8 users. There are two liquids associated with the gym- water and protein shakes. Now, instead of using separate bottles for your water and protein shake, you can combine the two. Drink water from the main compartment throughout your workout then once you’re done, simply fill the water compartment back up, then release the button in the top compartment to allow the powder to mix. Shake, then drink. Easy! The brand promise this bottle to be leak-free and durable, making it perfect for trips to the gym time and time again. Most gym equipment now hooks up to a heart rate monitor. So if you’re serious about your fitness, this is certainly one to get, as the brand promise accuracy and reliability when it comes to measuring your heart rate. While smartwatches have a heart rate sensor, it’s not as accurate as a gadget like this, which has been primed for taking accurate readings and nothing else. It also works alongside the Polar H10 app, which allows you to track data and improve the way in which you exercise.